Welcome back after what we hope has been a restful and productive summer, with maybe some adventure or fun mixed in with lots of scholarly and creative activities. Fall semester is now begun, as evidenced by our recent (Wednesday, August 23) faculty retreat and last hurrah at the Orange Grove Bistro. And now, classes: what could be better? Our first department meeting of the year is coming up, on September 8. Same time, same place. Here are the rest of the meetings scheduled for this year: October 13, November 17, February 9, March 9, April 13, May 11. Please mark your calendars now. Also, we need volunteers to bring refreshments. When was that person last you? The ever helpful and efficient Ronaldo Noche wants our office hours, emergency contact information, and syllabi. Please let’s make life easy for him (as he does for us), and remember to send what he’s asked for. Ronaldo also recently provided a comprehensive set of start of the semester reminders, so check your email and pay heed. There’s important information there! Also, the office staff has created a board, outside the mailroom, for “Breaking News.” They hope to use this board for posters and flyers related to new faculty publications, announcements, and upcoming events. If you have any posters or flyers to put up on the board, please contact Ronaldo in the front office. 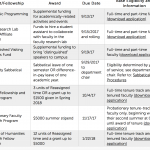 This one is for students, from former, and much-missed, colleague Ian Barnard: Chapman University’s interdisciplinary graduate student journal is looking for scholarly articles by graduate students (in all disciplines). Attention all of you who are teaching (or have taught) graduate classes, this is your students’ opportunity to get published in a peer-reviewed journal. The upcoming issue in on “Fluidity”; the deadline is October 1; and https://anastamos.submittable.com/submit. On June 9, alumna Gina Alexandra read as part of What Possesses? : A FULL MOON Reading w/ USC & UCSD Writing Programs at the Armory Center for the Arts in Pasadena. Gina has also joined forces with alumni Loretta McCormick and Sean Pessin to found a new press, Red Right Hand Press. The first issue of their microjournal PALM is coming out even as this Thursday’s Notes is (with a launch party we are missing), featuring the works of Katherine Marie Agard, Taylor McDaniel, Taylor McGill, Regis Armani Peeples, and Calvin Walds. Michael Bryson and former CSUN graduate student Arpi Movesian have published a new book, Love and its Critics: From the Song of Songs to Shakespeare and Milton’s Eden. The book is a history of love and the challenge love offers to the laws and customs of its times and places, as told through poetry from the Song of Songs to John Milton’s Paradise Lost. It is also an account of the critical reception afforded to such literature, and the ways in which criticism has attempted to stifle this challenge. Alvaro Castillo (BA 2016, MA candidate 2018) was named one of three nationwide winners of the Alliance of Hispanic Serving Institutions (AHSIE) for their Seed to Tree Student Scholarship. Creative Writing alumnus George Fekaris graduated from Otis College of Art and Design with an MFA in Writing. He read from his thesis project on May 12, at OTIS as part of the campus-wide thesis show. 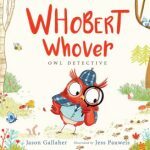 Jason Gallaher ( MA, 2016) has just published a picturebook, Whobert Whover. Jason minored in English as an undergraduate at CSUN, taking English 428 with Tina Bertacchi-Love, and then completed his MA here, studying Picturebook theory with Jackie Stallcup. Kate Haake published a personal essay, “And All the Rest of that Serenity,” in a special folio edition for Clockhouse, edited by Aimee Liu. She published a chapter in Stephanie Vanderslice’s, Can Creative Writing Really Be Taught? Resisting Lore in Creative Writing Pedagogy (10th anniversary edition), “Against Reading, 2: or, Writing Starts Here.” She published a micro-prose piece in the COLA 20 catalogue. And she gave a paper (untitled) on post-colonialism and creative writing at the American Comparative Literatures Organization conference, in Utrecht, The Netherlands. On July 25, our new hire in Liberal Studies Krystal Howard and long-time colleague Charles Hatfield took part in a podcast on children’s and YA comics, part of the Young Readers series on The Comics Alternative, a popular group of podcasts consisting of conversations among scholars about comics and Comics Studies. The hosts of the show are Dr. Gwen Athene Tarbox of Western Michigan University and Paul F. Lai, PhD candidate in Language, Literacy, and Culture at the UC Berkeley Graduate School of Education and a longtime public school English teacher. Krystal and Charles joined Gwen and Paul for a special CSUN-themed discussion of teaching comics at the intersection of Children’s Literature and Comics Studies. And you can see them here: http://comicsalternative.com/young-readers-a-roundtable-discussion-on-contemporary-issues-in-childrens-and-young-adult-comics/, or here (on YouTube): https://youtu.be/GQGdz6jJPdc. Charles Hatfield also curated an exhibit of comics currently on view (through October 1) at the Oviatt Library (2nd floor, east wing), “Jack Kirby @ 100.” The exhibit, a tribute to artist Kirby’s centenary, also provides a vivid snapshot of WWII and Cold War-era American culture: its dreams, fears, and preoccupations. Further, it showcases many genres—not only superheroes but also romance, crime, SF, westerns, and war. On Monday, August 28 (Kirby’s 100th birthday), Charles led a panel discussion with artists Mark Badger and Tony Puryear at the Oviatt’s Presentation Room. Sean Pessin also inteviewed LA author Dennis Phillips for Magra Books’ infrequent podcast, Magra Radio: http://magrabooks.com/podcast/ . Martin Pousson‘s novel-in-stories, Black Sheep Boy, was named a finalist for the PEN Center USA Literary Award in Fiction. He recently read at Cielo Galleries in DTLA for #90×90 as part of the Beyond the Rainbow panel, and he’ll soon read at 826LA for Roar Shack on Sunday, September 10, 4:00-5:30. https://www.facebook.com/events/113183192685166/) The event is free and all are welcome. Creative Writing alumna Loretta McCormick read at Find Your Zen on July 12 as part of #90x90LA at CIELO Galleries/Studios. Also at CIELO Galleries/Studios, on July 31, MA alumni Gina Alexandra, Loretta McCormick, and Sean Pessin read recent work at an event titled, Only Voices are Capable of Love. August “Auggie” Samie (BA CW 2010) has just been hired by Loyola University Chicago as Lecturer in the Department of History. Auggie is now ABD and nearing his PhD at University of Chicago in Middle Eastern Studies. Justin La Torre (CW 2016) was hired as Contributing Writer for The Gamer, where he also published an article on the use of characterization in Final Fantasy. Lukas Torres (CW junior) was hired as Upward Bound Tutor at Occidental College. Sunny “Sunshine” Williams (BA CW 2017) was recently accepted and has just enrolled in the MA CW program at Queen Mary University of London. Creative Writing alumnus Doug Weaver read from his new novel, Be Safe, twice this summer: on June 1 at Gatsby Books in Long Beach, and July 9 at Beyond Baroque in Venice. Be Safe also received a Kirkus Review: https://www.kirkusreviews.com/book-reviews/doug-weaver/be-safe/ . MA alumna Katharine Wang hosted her second art exhibition in the series Caesura on August 12, featuring work from Alejandro Echevarria, Andrea Clary, Eric Wang, Gina Alexandra, Greg Wadsworth, Jason Elvrom, Katherine Chiu, Katherine Wang and Melissa Wang Books. 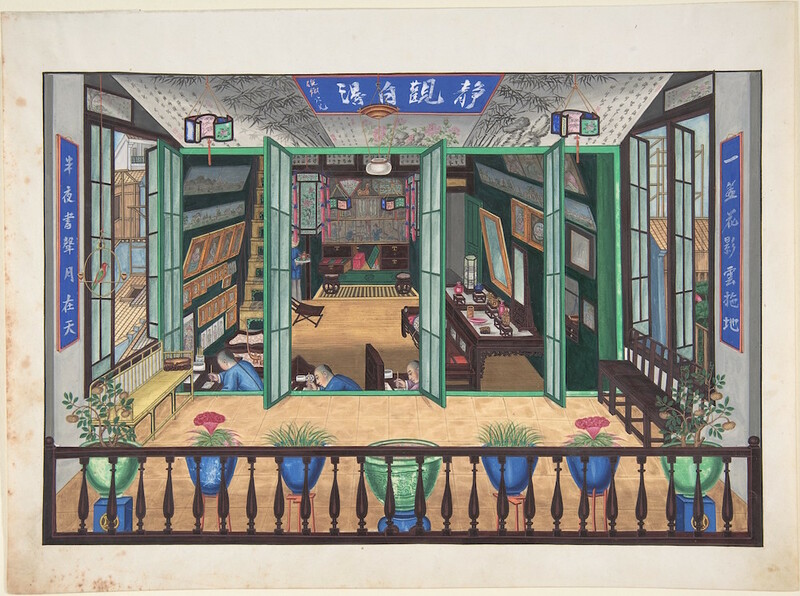 Beth Wightman presented “‘Our Own Islands: Virginia Woolf, Halford Mackindrf, and the British Island Vernacular” as part of the “LITERARY SPACE IN MODERNIST LITERATURE 1890-1960” seminar at the American CompLit Association Conference in Utrecht in July. She joined colleague Kate Haake at the conference in the Netherlands, and saved Dr. Haake from a variety of potential deaths by two-and four-wheeled vehicles (for which Dr. Haake remains profoundly grateful).